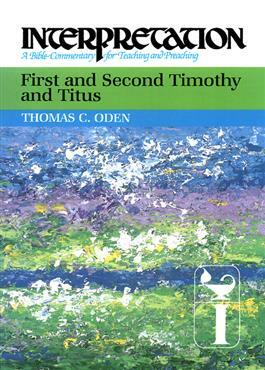 Thomas Oden provides a modern commentary on the pastoral letters grounded in the classical, consensual tradition of interpretation. Oden uses the best and most accurate research concerning the historical, literary, and philological aspects of the pastoral letters. He addresses tough issues: the role of women in worship, problems of the rich and poor, the relation between servants and masters, policies concerning support of elderly widows, and how to handle church disruptions.